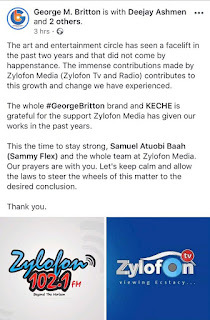 Following news of the temporary shutdown of Zylofon Media (Zylofon Tv and Radio) due to a court order secured by EOCO to freeze all assets owned by the CEO of the company, Nana Appiah Mensah, the manager of music group Keche, George M. Britton has released a letter on behalf of his team to thank the now-defunct company. In the post sighted on the Facebook page of the entertainment critic and artist manager, he states that the Ghanaian entertainment industry will never forget what the company, Zylofon Media has come to do in this last two years they have been in operation. 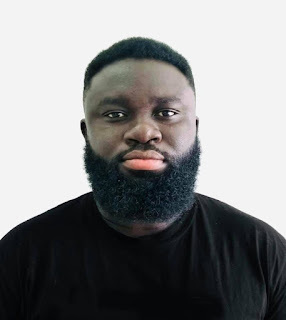 George M. Britton also urges the people who were holding the fort at the keep, especially the company’s communication manager, Samuel Atuobi Baah, popularly knowns as Sammy Flex to remain strong.